Since 1977, there has been an epic battle raging between two of the biggest franchises in popular culture. Fans of Star Trek fans and Star Wars have been at each other’s throats for years, periodically culminating in films like Kyle Newman’s farcical road trip flick Fanboys, but I have never understood why; from what I can tell, the only thing the two have in common is the word “Star” in their titles. Sure, I get that some people may prefer one over the other – but I would not bring the comparison between the two any further. Why? Because Star Wars, insofar as the original trilogy, is not science fiction – and therefore, comparing it to Star Trek makes about as much sense as comparing Crank to Tinker Tailor Soldier Spy. Yes, you heard that right – Star Wars isn’t science fiction. From Western and period dramas to fantasy and science fiction, these genre parameters have been morphed into covering a much broader range of properties than they should. As they state in Film Art: An Introduction, academic experts David Bordwell and Kristin Thomspon genres have changed in definition and popularity and are meant to evolve in what they refer to as “cycles.” Still, I believe that while genres themselves may be elusive category designations, the way we fundamentally view those designations can be significantly refined. At the time of this writing, genres are usually assigned based on what conventions they follow, what iconography we see on-screen. This unfortunately casts too wide of a net, snatching up films that have no business being in that particular category. I believe that instead, genres should be assigned by its plot; plot is one of the fundamental aspects of a film, crucial to its structure and execution. Certainly some abstract films might not have a coherent story, but the way I am using the term here, I am referring to the structure of the film driving the message or intent to elicit emotion from the audience. Therefore, if the plot as defined here is driven by drama, then it’s a drama, even if the character happen to be walking around in cowboy hats and brandishing six-shooters. Only then can we assign a secondary genre, which in this case would be Western. In other words, nothing should be classified as science fiction (or fantasy, or Western) that doesn’t put focus on those genre-related elements. For science fiction, this includes anything from meeting new alien species to finding new planets to creating and using new technology. Star Trek, therefore, is most certainly sci-fi through and through; each episode, and even major story arcs, are dedicated to the discovery of new races and interactions with alien species. On the other hand, Star Wars, which does use sci-fi as a setting for its storytelling, is really at its heart an action-adventure series. Episode IV: A New Hope is directly inspired by Akira Kurosawa’s samurai epic The Hidden Fortress, a film which contains no science fiction elements. But replace katanas with lightsabers, samurai with jedi, and Bushido with the Jedi Code, and you find that the core of the story remains largely the same. This trick cannot be done nearly as easily with Star Trek. I would similarly assert that Firefly, my favorite television show, also isn’t really a science fiction series (or a Western, for that matter). It does take place 500 years in the future on a spaceship, but the focus is on the drama first, and then its action and comedy, and then its sci-fi elements. The follow-up film Serenity, on the other hand, is first a science fiction film and second a drama, because its plot is based on River Tam’s abilities and the story of the Reavers – both concepts which fit well-within the realm of science fiction. When both Serenity and the Star Wars prequels distanced themselves from their truer genres and instead focused on science fiction, many fans noted that those films felt very disconnected from the original series. For example, I think a lot of people don’t know why explaining The Force with midi-chlorians was the worst thing George Lucas ever did to the Star Wars franchise, but they do. I would posit that this is in large part because midi-chlorians are a science fiction explanation for something we just accepted as a mystical aspect of the greater adventure narrative in Episodes IV-VI. Therefore, fans rejected it because it is incongruous and disconnected from the magic of the original series. This happened to a lesser extent with Serenity, but a certain group of Firefly loyalists still felt the film did not match the tone of the original television show as well as it probably could have. One of the best examples of misappropriated genre designations is Tomas Alfredson’s Let the Right One In. A stunning effort from the Swedish director, his adaptation of the book of the same name is a tale of young love is set within the framework of horror genre iconography. However, in a choice which may have upset some fans of the novel (which reportedly puts more emphasis on the horror elements), Alfredson and screenwriter John Ajvide Lindqvist elected to eschew these themes in favor of playing up the drama between Oskar and Eli. 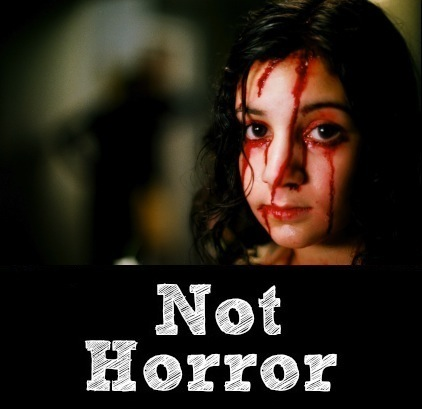 Despite this, much of the promotional work done for the film declared it a spectacular vampire movie, a showcase for the best that horror has to offer; even to this day, many websites devoted to the horror/slasher/thriller genres list Let the Right One In as one of the top modern genre films. Unfortunately, this turned many viewers off – these moviegoers, myself included, are no great fans of horror. But thank goodness I did see it, because Let the Right One In is one of the best movies to have come out in the past decade (certainly on par with Alfredson’s Tinker Tailor). After seeing the film, I found that in spite of its vampire-themed dressings, the film is clearly a commentary on the human condition that tackles themes like romance and bullying in an eloquent, measured way. In truth, Let the Right One In follows the plot tropes of a drama/romance much better than it does a horror film. This is a new way of evaluating films, books, and television series. Resorting to knee-jerk designations simply because a film looks a certain way is doing a disservice to the artist and keeps us from understanding the artist’s intent as manifested through their work. By being more conscientious when delving into genre categorization, I hope we can become more astute moviegoers and generally avoid silly fights about the superiority of Star Trek to Star Wars. We all know Star Wars is better, anyway. *I am well-aware that the series heads down a more fantasy-oriented route in subsequent books, something audiences have already caught a glimpse of with the events of Season 2. This comparison is for the first season (and first book) only.